Gumi, the Singapore-based localisation specialist, focuses on bringing popular Japanese mobile games out west. This hasn't always worked. 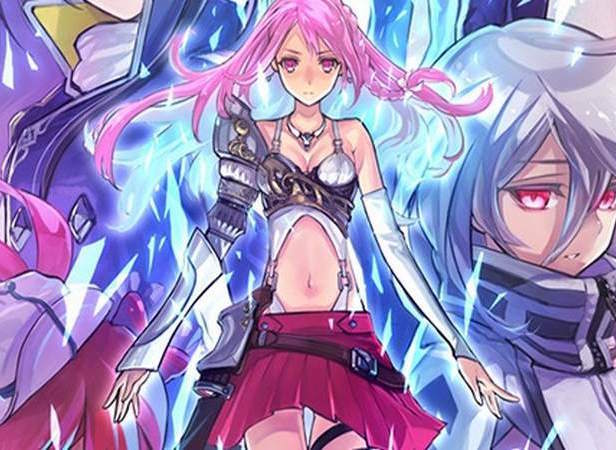 Chain Chronicle, a game I absolutely adored, and kept playing right to the bitter end, was unceremoniously shut down earlier this year after it didn't get the numbers it needed to continue running. Related reading: Clark's review of the most recent Fire Emblem game, which Phantom of the Kill obviously borrows inspiration from. Of course, Gumi also has its hits. 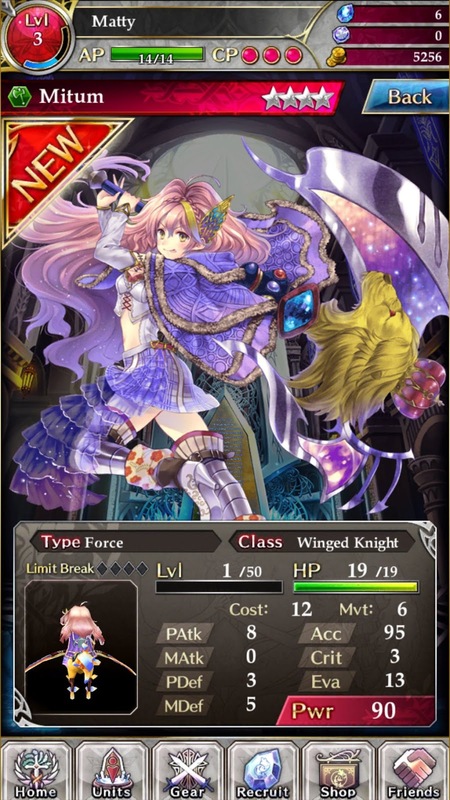 Brave Frontier, for example, is still going strong. And with any luck Phantom of the Kill has a very long future ahead of it, because what I have played so far has been absolutely divine. If you were to take Fire Emblem, and make it free-to-play, you're basically at what Phantom of the Kill is. In this game, you'll recruit characters, develop them up, and then take them into tactical, turn-based battles. There's a full story backing the game too, which is told through a mix of animated cut scenes, and standard JRPG dialogue sequences. The story is actually quite dark and violent; the entire world is decayed and dying thanks to a demonic apocalypse, and the few remaining humans are desperately trying to acquire powerful weapons that can defeat the waves of demons. In the couple of cut scenes I've experienced so far, characters are being horribly injured and there's a lot of very dark red used in the cut scenes; I didn't quite expect a mobile game, designed to appeal to as many people as possible, have quite the dark edge that this one does. As a free-to-play game you acquire characters through random draws, and you need crystals, which are in fairly short supply, to enter the lucky dip. I haven't felt the need to invest real money in the game just yet, though, as the lucky draws that I've earned through in-game play have provided me with plenty of high quality characters to play around with. I've also been able to improve their abilities further through some good loot that I've acquired along the way. The variety in these characters is great. My current favourite hero is a gorgeous woman that rides a chocobo-like character into battle. I've also got foot soldiers, archers, gunners, cavalry and heavily armoured knights. You're only able to take a few units into battle, so coming up with a good mix is an essential strategic consideration, albeit standard stuff for free-to-play. In combat, we get the full animated cut scene of units attacking one another, just like we do in Fire Emblem. The character models are rendered well in both the tactical over-map and these combat scenes, but I've got to say the real win in the art direction is the character portraits. They are universally gorgeous, and give each of the characters a lot of personality all by themselves. Already I've formed parties that are probably not the most effective combinations, but I just like the design of the characters girls. 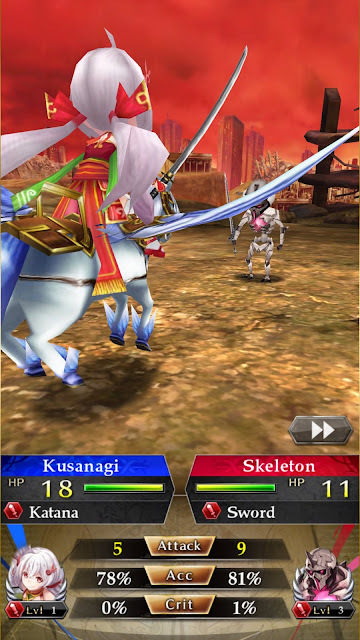 Unlike Fire Emblem, battles are short and to the point, so you'll be finished with each combat within a couple of turns. There's also that dreaded meter that ticks down with every new battle that you participate in - run out of "AP" and you'll need to wait for it to recharge before you'll get to play the game again. I have never understood why mobile developers would implement a system that would actually stop people from playing. I can only assume that there are enough people that pay money for the AP meter to be reset that it's worth the developer's while, but I find the system counter intuitive when one would think a free-to-play developer would want someone playing for as long as possible. Thankfully every time I level up my AP meter is reset, so so far I've only had to wait for my points back once, and for a short time at that. Of course, the amount of content that's in Phantom of the Kill is effectively limitless, because it's not in the developer's interest to have players run out of things to do. Because there is so much content there I'm going to reserve judgment for a few more days of solid playing, to see if the balance and pacing remains solid, but on my early impressions I am utterly blown away by this game - it is the kind of free-to-play game I can see myself spending a lot of time with. Related reading: And for another alternative to Fire Emblem, 3DS owners might want to consider Langrisser. Matt's full review. 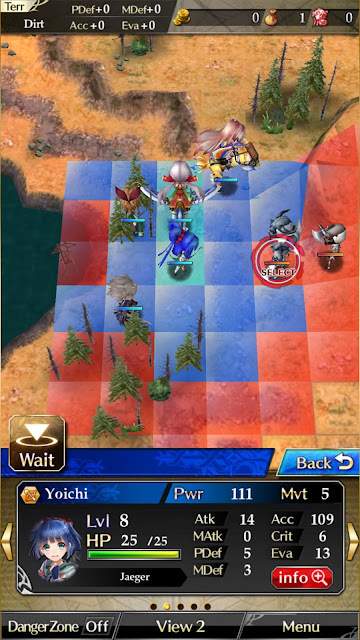 And if this is a taste of what is to come when Nintendo releases its own Fire Emblem mobile game, I'm going to be a very happy iPhone gamer indeed. This is a good genre for this platform.